The world was shocked at the new of North Korean leader Kim Jon Il’s sudden death of a heart attack. The White House said Monday it is too early to tell whether the leader’s death opens the door for better relations with the U.S. Not much is known about the new leader, Kim Jon Il’s son Kim Jong-un. In fact, only one picture exsisted of Kim Jong-un until 2010, but according to a childhood friend the new leader of the DPRK is a big NBA fan. Joao Micaelo revealed to CNN that growing up the future dictator loved playing basektball, playing basketball videos on PlayStation and was a big fan of Michael Jordan. “The whole world for him was just basketball all the time,” Micaelo told CNN. According to Sky New, the North Korean World Cup coach has been sentenced to hard labor after his team’s 0-3 showing at the tournament. Coach Kim Jong-Hun and the rest of the World Cup team was subjected to six hours of interrogation by 400 communist party officials. North Korea failed to win a game at the World Cup. Many believed North Korea was in the group of death, facing Portugal and Brazil. 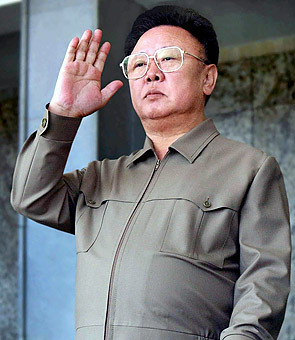 Still, North Korea’s dictator Kim Jong-III believed coach Jong-Hun betrayed the leader’s trust. In the past, coaches and players have been sent to prison camps for disgraces their countries at the World Cup.